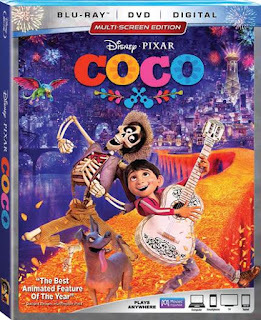 We're giving away five (5) digital copies of Disney•Pixar's Coco, and all you have to do is provide your name, email and mailing address... No trivia questions, running through hoops, etc.. How easy is that? We'll select five winners (one copy per household) and send your digital copy via USPS. All entries must be received by Friday, March 2nd at 11:59 PM EST, so act fast. Good luck! 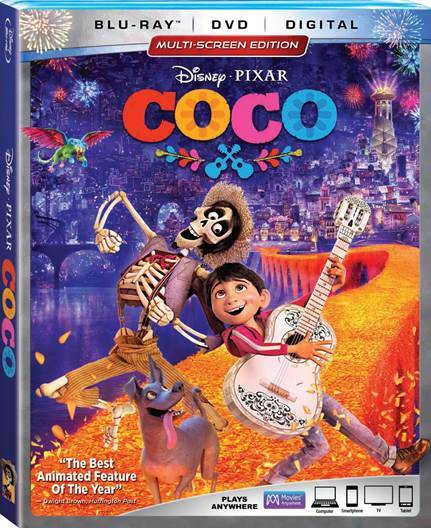 Synopsis: Disney•Pixar's "Coco" - the story of a 12-year-old aspiring musician's extraordinary journey to the magical land of his ancestors - won a 2018 Golden Globe Award for Best Animated Motion Picture, topped the domestic box office Thanksgiving holiday weekend, became the highest grossing film of all time in Mexico, broke records in China and earned widespread praise, receiving 96 percent from critics and 97 percent from audiences on Rotten Tomatoes. Now this vibrant tale filled with love and laughter arrives home Digitally in HD and 4K Ultra HD and on Movies Anywhere on February 13, and on 4K Ultra HD, Blu-ray, DVD and On-Demand on February 27. Coco is available Digitally in HD and 4K Ultra HD and on Movies Anywhere on February 13, and on 4K Ultra HD, Blu-ray, DVD and On-Demand on February 27. Click here to purchase online.